Note: if you have DS18B20 1-Wire digital temperature sensor connected to Raspberry Pi and your Zone Valve relay and boiler relay is connected to raspberry pi GPIO then you don’t need to build a Serial Gateway. you can follow this link to connect DS18B20 to Raspberry Pi. i haven’t modified it that much only important part to look or may need modification on following three settings according to your needs. Login to your raspberry pi via ssh and issue following commands one by one to install Python, PySerial, MSQL-Python for interfacing with serial port and save data to MySQL/MaridaDB database. Checkout Python Script to Communicate with Serial Gateway. do you think rpi gpio can supply enough power to keep things running? Hi James i had this Serial gateway running for around 8 months and all powered by Raspberry pi GPIO, i have 2amp power supply to power raspberry pi. Hi, Is it essential to build Arduino based serial Gateway to “read” wireless sensors? 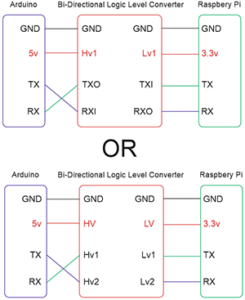 Why nRF can’t be connected directly to Raspberry PI as described here: https://forum.mysensors.org/topic/2437/step-by-step-procedure-to-connect-the-nrf24l01-to-the-gpio-pins-and-use-the-raspberry-as-a-serial-gateway-mysensors-1-x ? Thank’s for reply. I’m going to build your version of serial Gateway. 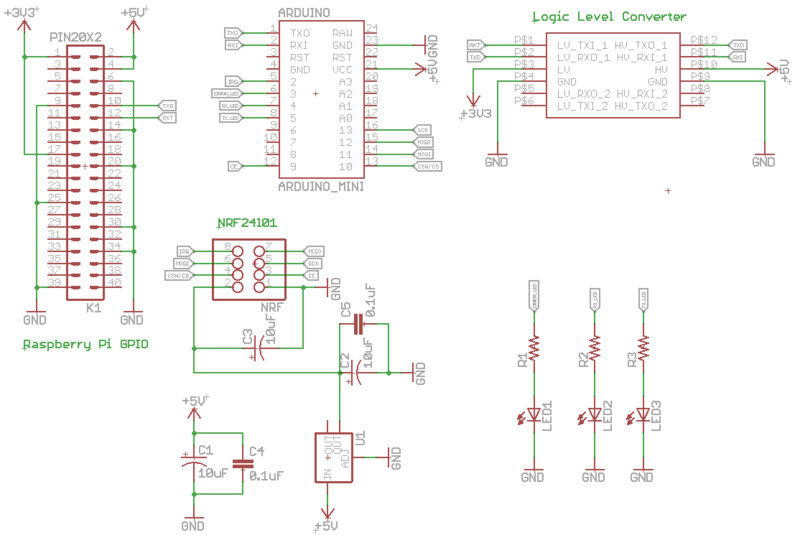 Just PiHome Serial Gateway Header Schematic isn’t readable. Is it somewhere published with better resolution? Probably you can send it to my e-mail? 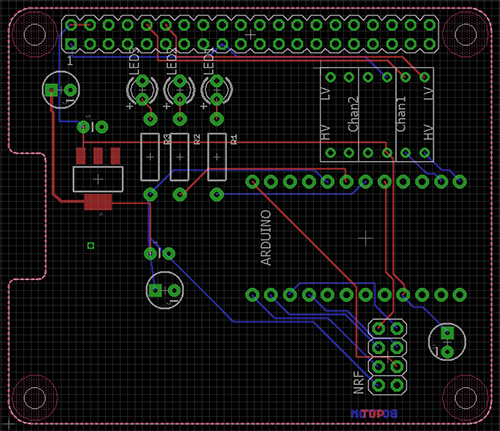 i have added MySensors Serial gateway Raspberry pi Header Schematic and pcb design to GitHub, check out the pcb folder, you need eagle pcb software to open it. alternately you can save schematic image and zoom it in windows photo viewer sorry site template wouldn’t let me make it bigger. I’ll have three Battery Powered Arduino DS18B20 Temperature Sensors only. the problem is that $pid_details has not been defined (although it is defined in the wireless code block), I fixed by inserting $pid_details = exec(“ps -p ‘$out’ -o lstart=”); as the preceding line. thank you for letting me know, i have updated check_gw.php and serialgw.py script, can you test both if you have some free time. you are right no harm adding sensor child id in condition, i need to think more about chartlist.php somehow i have to make that in loop so sensors id and child get covered automatic without modification in code. thanks for your comments.